The Expert Advisor closes all orders when reaching a specified profit or loss in a deposit currency. The robot can work both on a single symbol and the entire account. 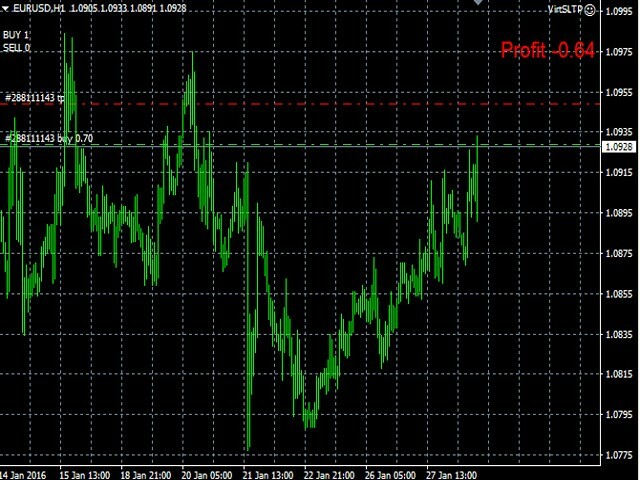 TakeProfits - close orders when reaching a specified profit in a deposit currency. LimitLoss - close orders when reaching a specified loss in a deposit currency. 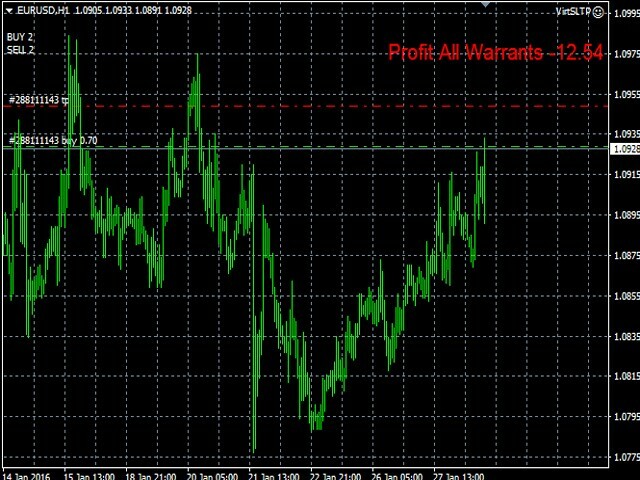 AllWarrants - if true, orders are closed on the entire account; if false, orders are closed only on the chart the EA is launched at.